Toshiba is pledging to exhibit not just the world’s thinnest and lightest 10-inch tablet at CES next week, but also the thinnest and lightest 13-inch laptop. 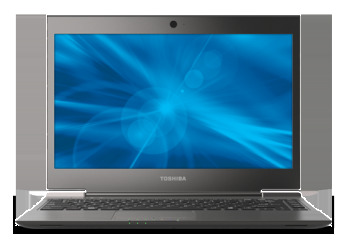 Toshiba’s Japanese CES 2012 press page declares these “thinnest” and “lightest” new laptops and tablets will be unveiled at CES. The laptop is likely the Portege Z830 Ultrabook, introduced in September last year as the lightest 13.3-inch laptop in its class with a weight under 2.5 pounds. The Portege Z830 series, which includes the incredibly light Portege Z835 model, is noticeably thin and light, according to PCWorld reviews. But what about this thin and light tablet? So far, Toshiba tablets, like the Thrive, have traded expansion possibilities for extra bulk and weight. Rumors around the web, however, suggest Toshiba’s upcoming Excite tablet (a.k.a., the Toshiba AT200) will, indeed, be super-skinny. The AT200 will weigh 1.2 pounds and measure 0.3 inches -- lighter and thinner than tablets now on the market. Reports suggest that this tablet will feature a 1280-by-800-pixel display, up to 32GB of storage, and 1.2GHz dual core processor. In the world of laptops and tablets, it’s no small thing to claim titles like “world’s thinnest” and “world’s lightest” titles. Toshiba may make waves next year in Vegas with these thin and light devices.